Join us for this special event as Saxophonist Don Braden ’85 and his quartet will be performing jazz interpretations of songs by R&B titans Earth Wind and Fire and Stevie Wonder. Register: Click here to register through the Jazz Bakery's website. 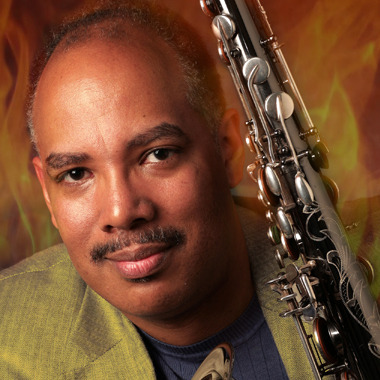 Saxophonist Don Braden's latest CD, “Earth Wind and Wonder,” features his quartet performing jazz interpretations of songs by R&B titans Earth Wind and Fire and Stevie Wonder. Braden soars through the music like a true Jazzman, even when context is highly funky! Extraordinary pianist and multi-Grammy winner, Billy Childs, is a stand-out addition to any band. Darek Oles drives the bass chair with elegant mastery, while power-house drummer, Cecil Brooks III explores a soul-jazz groove. Don Braden is the proud recipient of a Doris Duke Foundation Jazz Grant in conjunction with Chamber Music America. Moving between disparate projects has been a way of life for Don since he started playing. A musical omnivore with a sound that is both contemporary and evocative of a classic mid-century tenorman, Braden continues to revel in the highest levels of creativity, discipline, joy, and soulfulness as he shares his musical journey. He expresses a contemporary point of view in his powerful, spiritual, intelligent, and (most importantly) swinging Jazz style. Braden’s advice... “Bring your full A-game all the time.” ...with this band, we can expect no less!